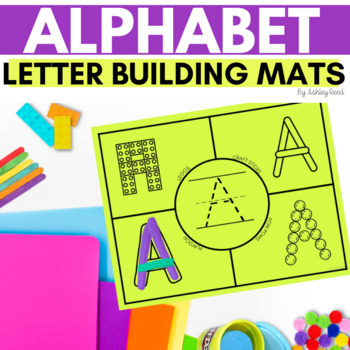 Your students will BEG to engage with this fun alphabet center as they practice letter formation in four unique ways-- with pattern blocks, playdoh, craft sticks, and legos! 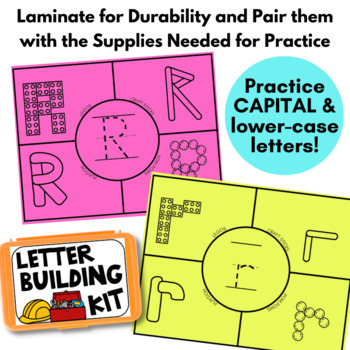 Each letter mat is ink-friendly, using only black ink to save you money! Print them on colorful paper, and laminate them for durability. 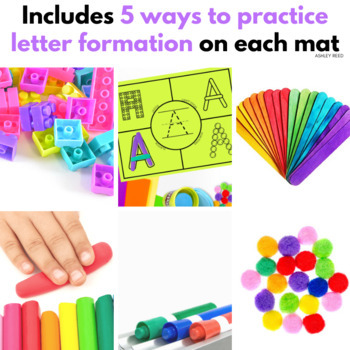 This packet includes practical ideas in photos of how to set up your center along with 26 letter mats.